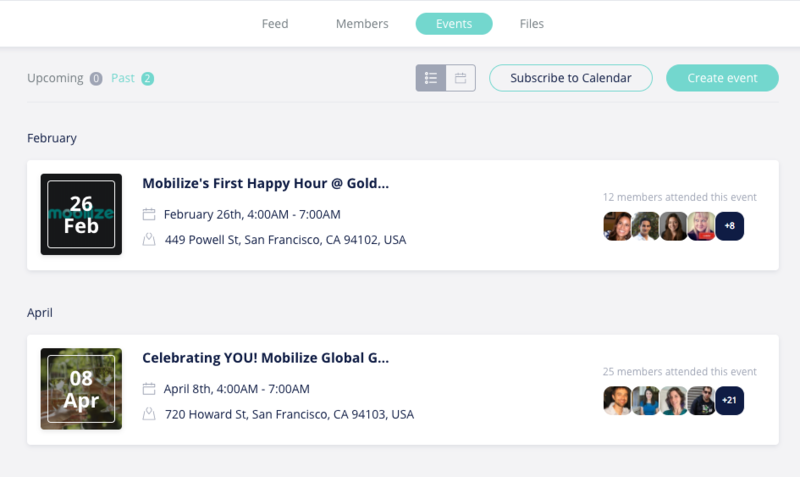 Following your group events on your calendar is easy and powerful! With iCal feeds, you can add your group events to almost any calendar program, including Outlook.com, Mac Calendar and Google Calendar. On the top of your group events page click "Subscribe to Calendar"
Open up your external calendar program and subscribe to that calendar by adding the URL. The calendar contains all the group events that you are invited to, it is your personal group calendar and you should not pass it to others. It is a one-way sync from your group calendar to your external calendar. There is no way to pull an external calendar feed into your group's calendar. External calendars vary on how often they pull information from an iCal feed, thus immediate updates should not be expected.